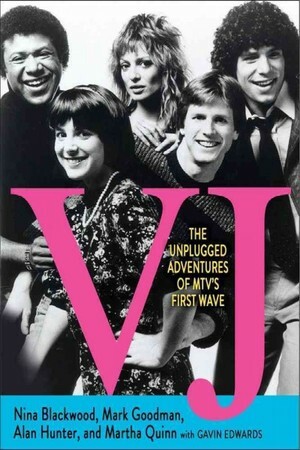 This week (on Wednesday, May 8, 2013), at a Barnes & Noble store in Tribeca (New York City), four of the original five MTV VJs will be in town for a book signing to coincide with their new book "VJ: The Unplugged Adventures of MTV's First Wave" (specifically, Martha Quinn, Mark Goodman, Nina Blackwood, and Alan Hunter ... unfortunately, the last of the original five, J.J. Jackson, passed away the evening of March 17, 2004 in Los Angeles of an apparent heart attack, he was age 62). For details on the New York book signing, visit http://store-locator.barnesandnoble.com/event/78149 . I saw news of the book signing in one of the free newspapers that circulate whose primary focus is pop culture news. I mentioned this as a forthcoming book in my June 20, 2012 post entitled "Music Still on MTV" (the short link is http://goo.gl/XgIL6). "This publication will mark the first time Nina Blackwood, Mark Goodman, Alan Hunter and Martha Quinn give their uncensored accounts from the front lines of the cultural revolution that was MTV. Among the highlights will be the VJs' never-before-told stories about getting, doing, and ultimately leaving the most coveted job of the decade; the truth behind Roger Daltrey's demands to visit MTV; days and nights spent partying with Van Halen; the 'Paint the Mutha Pink' contest with John Cougar Mellencamp that went toxic; joining the mile high club while flying to see the band Asia play at the Budokan in Japan; and all true tales of hair styles gone horribly wrong as a new kind of broadcast medium was being created hour by hour and day by day — all perfectly set against the era when you would still call into your answering machine from a pay phone." Needless to say, for a brief window of time, we're likely to be seeing more of these original VJs to promote their new book. "Unfortunately, much of the book either feels bafflingly irrelevant (who cares what Nina Blackwood voted for or whether Martha Quinn got good grades, really?) or like a much too late attempt to wring scandal from the idea of hanging out with rock stars. They seem to be the last to know that 'I did cocaine with David Lee Roth' is no longer a particularly juicy thing to say, and neither is 'Steven Tyler hit on me once.' We assume these things. We got it. But when they get to talking about MTV itself, their stories seem awfully small." "MTV as a brand doesn't age with our viewers. We are really focused on our current viewers, and our feeling was that our anniversary wasn't something that would be meaningful to them, many of whom weren't even alive in 1981." That was in reference to the fact that dissed its own 30th anniversary last year. Honestly, I don't understand why MTV even bothers with the MTV Video Music Awards show anymore, but its a tradition that the network has maintained, which supposedly helps it stay relevant with today's youth. (In September 2013, YouTube announced it would host its own Video Music Awards, see http://youtu.be/9ckE_S5Y5QM). "Never in my wildest imagination did I think that MTV would become this. I'm not a fan of reality shows, no matter what channel. I wish that MTV had continued in a musical vein, not playing videos all day long, but at least have music at its core like Behind the Music or airing concerts. Keep some music credibility." To catch that brief clip on YouTube, visit http://youtu.be/yUyYo1uq2gk. Time magazine had a nice story about 32 MTV factoids (one for every year of MTV's existence) — taken from the book and Time's conversations with the original VJs (see http://ti.me/10GriIb for the article). Among the interesting factoids was that MTV VJs weren't paid very well. Alan Hunter's goal was to make $550 a week, as much as a Broadway chorus boy. He started off making slightly less than that: $27,000 in his first year as a VJ. Martha Quinn learned that Mark Goodman made a lot more than she did back in the day (then again, he was also an experienced DJ on the radio, and Martha wasn't). Nowadays, though, there actually ARE viable alternatives that resemble what MTV used to look like before its flush down the toilet to where it is today. Specifically, in Feburary 2013, a new "network" delivered via the internet emerged: Fuse TV [http://www.fuse.tv/] and on YouTube at http://www.youtube.com/fuse. Indeed, Fuse has even recruited a number of MTV veterans (see http://nyti.ms/110TNXY and http://nyti.ms/1797WlY for more details) to work for it. 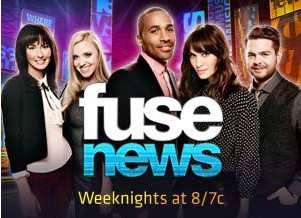 Fuse, which is owned by Cablevision's Madison Square Garden unit, has been building up its news division and introduced its "Fuse News" show in February, with a roster of hosts that includes Alexa Chung (formerly of the MTV series "It's On With Alexa Chung") and correspondents like Jack Osbourne (of MTV's reality series "The Osbournes"). Indeed, Fuse News resembles what MTV looked like once upon a time. Nina Blackwood and Mark Goodman (respectively "the hunk" and "the video vixen," according to each other) -- talked to public radio about the new oral history book entitled "VJ: The Unplugged Adventures of MTV’s First Wave" which can be listened to below or by visiting http://www.wnyc.org/story/299400-mtvs-first-vjs-tell-all/. "It's hard to remember now, but at one time, MTV really was watched just like commercial radio was listened to: you would turn it on and see what came around, and if you particularly liked a video, you'd wait a while and hope you heard it. That's what half the slumber parties of my adolescence were about: waiting for Michael Jackson or Duran Duran. We don't wait very much anymore. It's not just that this model of MTV largely went away, or that getting most of your music listening through the radio faded. It's that the entire idea of ephemeral availability — that you would have to sit and wait for something to be played for you, and that at other times you had to do without it — is simply not how people expect to digest much of anything anymore. 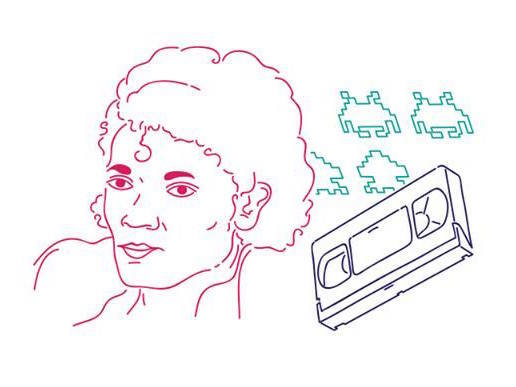 The VJs who believed they were at the beginning of the age of the music video were actually at the end of the age in which innovation in music would involve giving people new ways to wait for you to play the music they wanted to hear." For anyone longing for a dedicated music network like MTV used to be, I would suggest visiting Fuse TV [http://www.fuse.tv/] and/or on YouTube at http://www.youtube.com/fuse. You might just like how music television has evolved in today's era of on-demand content delivery, anytime, anywhere. 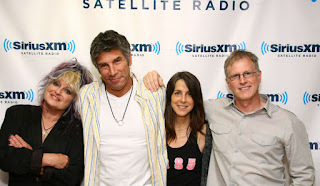 For their part, the original MTV VJs (Martha Quinn, Mark Goodman, Nina Blackwood, and Alan Hunter) apparently host a satellite radio program on Sirius/XM channel 80s on 8. Initially, I thought their book might be interesting reading. But now that its available and the reviews are starting to roll in, it seems the Craig Marks and Rob Tannenbaum's book "I Want My MTV: The Uncensored Story of the Music Video Revolution" might just be the better read (I already read that one). I'm not saying you shouldn't read this, but let me remind you that you can always borrow the new "VJ: The Unplugged Adventures of MTV's First Wave" for no cost at your local public library. However, you might just have an opportunity to actually meet the VJs (and let's face it, we all thought they had the coolest jobs ever, didn't we?!) at a book signing near you. Visit their website at http://www.80svjs.com/ for locations and other information. Author P.S., October 21, 2013: MTV and VH1 might have launched music television, but there's a reason they don't play music videos and concerts anymore -- not enough people watch them. These days, they're available on-demand via YouTube and other online channels. Now, however, rapper and media mogul Sean "Diddy" Combs thinks he can change that with a little help from the internet. He's launching a new network today called Revolt TV that he says will play rap, hip-hop, and maybe even some country "if it's funky enough, baby." As of October 2013, the new network had gained carriage on Comcast and Time Warner Cable. Catch the Marketplace Morning Report story for more details at http://bit.ly/16qqwUh.